MUST COMPLETE AND SIGN A LIABILITY RELEASE FORM ON ENTERING THE CLUB. The maximum allowed caliber is .44 Magnum. Due to bullet bounce-back, .38 Specials or milder rounds are prohibited. in which case shooters are limited to only one match. will not be allowed to shoot. DURING THESE MATCHES, FROM 18:30 TO 22:30.
and bring it to the match to save time at registration. At our matches, we shoot full size tenpins at 25-30 feet. Any sights are allowed. Shooters start at low ready, with the end of the barrel on the table, and have eight seconds to clear their table. Pins must be off the table to count as a hit. Any pins left lying on the table are scored as misses. Fallen pins bridging two tables are considered hits. Matches consist of six tables of pins, with five pins on each table, shot in two three-table relays. The tables are four feet wide and two feet deep, with the pins evenly spaced across the table's midline. 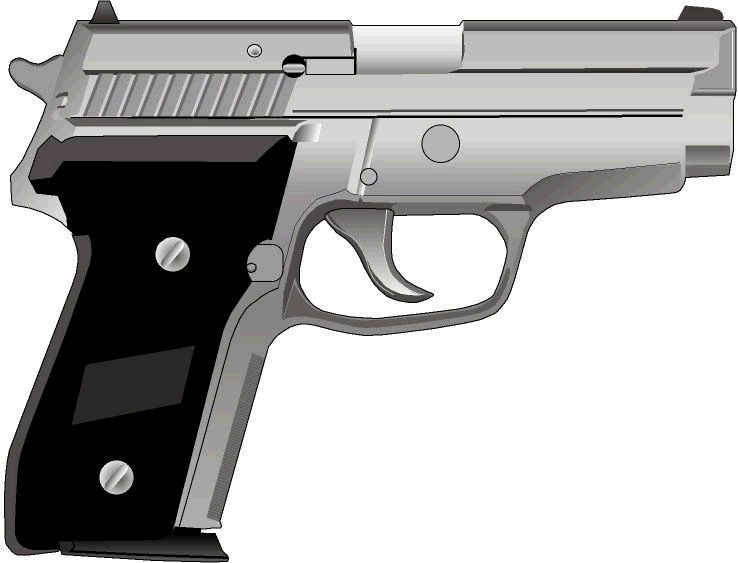 While the 9mm cartridge is adequate, the caliber of choice for semi-auto pistols is the 45 ACP, while revolvers tend to be 357 or 44 Magnums. 38 Special and lighter cartridges are prohibited, due to bullet bounce back. Regardless of caliber or capacity, magazines may be loaded with no more than ten rounds. If there are less than 15 shooters, participants may shoot a maximum of two matches, with both matches shot concurrently. Once we reach that magic 15 number, each shooter is limited to shooting only once, as we need to wrap things up at a reasonable hour. The cost to shoot for the entire night, is $6.00 for CPF&G Club Members, $8.00 for nonmembers. Juniors (under 17) always shoot FREE, have no time limit, and may shoot standing or sitting, with or without a rest. All minors must be accompanied by a parent, grandparent, or legal guardian at all times.